Announcement of announcements, Handsome Furs are set to release a new album in february. Face Control will be unleashed on the world on February 3rd, 2009. If you heard Plague Park last year, you'll know exactly what to expect from this Wolf Parade side-project. And if you don't, check out the video down below. At last, some new Bon Iver material. It's been like, what, a year, since he released For Emma. That said, even though it first came out in 2007, expect it to feature on 60% of Best of 2008 lists. 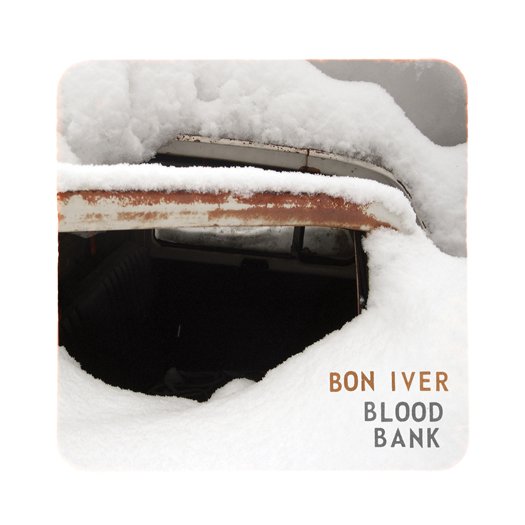 Justin Vernon's new EP, Blood Bank will be released on January 19th, 2009, and features just four songs. Fiction Family, formerly The Real Sean Jon, are Sean Watkins of Nickel Creek and Jon Foreman from Switchfoot. They release their self-titled debut album on January 20th, 2009. Thanks to Fergus for the setlist for Bell x1's latest show on home soil, where they pulled out a few new songs (those with the asterisks). Fergus also posted up a nice little review, which can be read on his blog, Seeking His Face. "Black and Gold, Black and Gold..." Now it's going to be in your head all day. How does he pull of those glasses? I bought a pair for a joke, and you should see the state of me in them. Oh Jesus. Sam Sparro will play Dublin's Academy on December 10th, 2008. Yes, there's still gigs this year being announced. Tickets are on sale now at a price of €26. Before you read any more, i would like to point out that I was not in attendance at this show. Nor do I know of anyone who was. That's right, not Franz Ferdinand, but Franz Nicolay of The Hold Steady is set to release an album in 2009. He' best known for his moustache, but equally known for busting out some sweet, sweet jams. 30 seconds of a song is better than no song at all. It'll have to do until the album comes out, or at least leaks. My own review is further down, but here I thought I'd mention IndieLimerick's wonderful review, and he also has a download for the bootleg of the show. They were the next big thing in Ireland before Fight Like Apes came along and stole their thunder, and with the release of Cheap Rate, it's easy to see why. Thanks to Lauren and Jim for the info. And what great info. (Sorry for the hiatus yesterday, btw, throat infection. Not fun). The Gaslight Anthem will finally play Ireland. They come to Dublin's Academy on March 4th, 2009, in what will be one of the gigs of the year. No ticket details yet, but they're priced at €17.50. If you even half agree with any of my opinions, go to this gig. It'll be fantastic. This time, with a new album to support, the band was billed as The Cardinals, no sign of Ryan's name on the bill. As a result, Ryan talked a lot less than last year, where he possibly did as much speaking as singing. It was also a much heavier show than last time out, with Ryan jamming away on 'Natural Ghost', like it's a totally different song. Many many highlights from this show, especially songs we didn't get to hear last time out. 'I Thought Myself How to Grow Old' was jaw-dropping, with Ryan pulling off some tremendous solo work. 'Wonderwall' was also a nice little treat, and I definitely wasn't expecting to hear 'Desire'. The new songs sound so much better live than on the record, 'Crossed Out Name' being a special highlight. And after hearing 'Stop' live, my opinion of it has shot up. It sounds glorious with DRA on piano. One of the new songs which was absent was 'Magick' - which is this album's 'Halloweenhead', and since he has played neither live for me, I'll have to go again. Damn you Ryan! The encore was yet another high point, bring out 'La Cienega Just Smiled' and 'I See Monsters', two (excuse the pun) monster tracks. Oh, and did I mention 'Come Pick Me Up'? With the crowd singing along (well parts of it), it was beautiful. Only major negative: no repeat of the amazing Joyce/Rose poster from last year. Guess I'll have to make do with this t-shirt. Thanks to Lauren on entertainment.ie for the news that Yo Majesty (no, your ma) are set to play Crawdaddy on Harcourt Street (yes, that's where it is) on April 2nd next. It's a while away yet, so no solid ticket details. Expect some soon however, I'll let you know when I hear more. Get the new album yet? I hear it's their best ever. Well so Heat Magazine tells me! Nadine "I'd never lie to you Linda, you're my best friend" Coyle and Co. will play Dublin's O2 on May 2nd, 2009. Tickets for Girls Aloud will be available from Saturday.